Stewardship is the responsible management of our time and financial resources. As Christians, we believe these resources are given to all of us ultimately by God. Awed by the abundance of God’s gifts, we gratefully return to God’s work a portion of our time and treasure. We ask that you give back to God through the work of All Saints Parish by investing your time and by making a financial pledge for the 2019 calendar year. 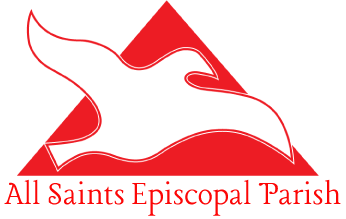 A pledge is your personal commitment to provide a set amount of financial support to the ministries, and day-to-day operating costs of the parish of All Saints. By pledging, you are demonstrating a conscious commitment to give back to God a portion of the gifts given graciously to you. Your pledge is a personal covenant between you and God. Pledges range from $100 to $20,000+. But rather than focus on amounts, we ask that you consider what percentage of your resources (time and money) you wish to give back to God at All Saints. The only biblical standard is a tithe of 10%. A pledge is an affirmation of our commitment to give back to God a portion of the gifts God has given to us. By making an annual pledge to All Saints, we are affirming our Financial Stewardship in support of the continuation of our mission. Your pledge, along with all the other pledges received, allows All Saints to plan the annual budget to support the operating budget for our ministries and programs. I put money in the offering plate on Sunday. Isn’t that good enough? Loose funds collected in the offering plate certainly are appreciated and help to support All Saints. But putting loose funds in the plate is usually an afterthought and only given on those Sundays that you attend All Saints. It is difficult to plan and operate the church on loose plate offerings. By pledging you will support the Vestry’s planning and assist us in sustaining our ministries. Think about what you would normally put in the offering plate, and multiply it times 52 weeks as an estimate of your potential annual giving. Then look at the Proportional Giving chart below to determine your pledge for the year. Tithing means to give 10% of your income back to God through the church. It is an ancient tradition of Judaism and Christianity that is found in both the Old and New Testaments of the Bible, as well as in other religions of the world. The first mention of tithing in the Bible is in Genesis 14, when Abraham, already aware of the tradition, prepares to make his tithe. Proportional Giving asks all of us to give in proportion to our income and resources. It recognizes that giving back to God is a journey and that tithing is a level of giving to work towards. It requires us to make a conscious effort to determine an appropriate level of giving for today, and then to be open to allowing our giving to grow in the future. The Proportional Giving Chart below might be helpful. Consider increasing your pledge by one percent of your income each year. This practice of giving has the power to transform lives and shape the souls of many. You can change your pledge at any time — either up or down. If you wish to change the amount of your pledge, contact the church office and request a new pledge card. On the card, please indicate that you are changing your existing pledge, note the new amount, and return it to the church office. I’m not sure what I can afford next year. How can I pledge? Sometimes it is difficult to know what your income and expenses will be in the year ahead. You might want to make your pledge based on a conservative estimate of your income for the next year. Making a commitment is an important way to make the support of the church a priority in your life. If your situation changes during the year, you can change your pledge and give as needed. How and when should I pay my pledge? Pledges can be paid on a schedule that fits your circumstances. It could be weekly, monthly, quarterly, or even in a one-time lump sum. Offering envelopes are available at the church for you to use when making a pledge payment by cash or check. Your offering may be placed in the offering plate at any worship service or mailed to the church office if you are using a check. (Please do not mail cash.) You can use our online giving site to make contributions using a credit card, or you could arrange for your bank to make automatic payments directly to All Saints. Some people find it beneficial to make their pledge payment by transferring appreciated stock to All Saints. This may allow you to avoid paying capital gains tax on the stock and take a tax deduction for the full market value at the time of transfer. Contact the church office for details. All that we have comes from God. Proportional giving is giving a percentage of our blessings to do God’s work. At All Saints, we do not expect any particular proportion — that is for you and God to decide. We do hope you will choose to practice the spiritual discipline of proportional giving.